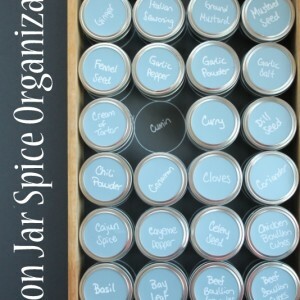 Remember last week when I shared a brilliant way to organize your spices with mason jars (here)? Well, that idea inspired me …. 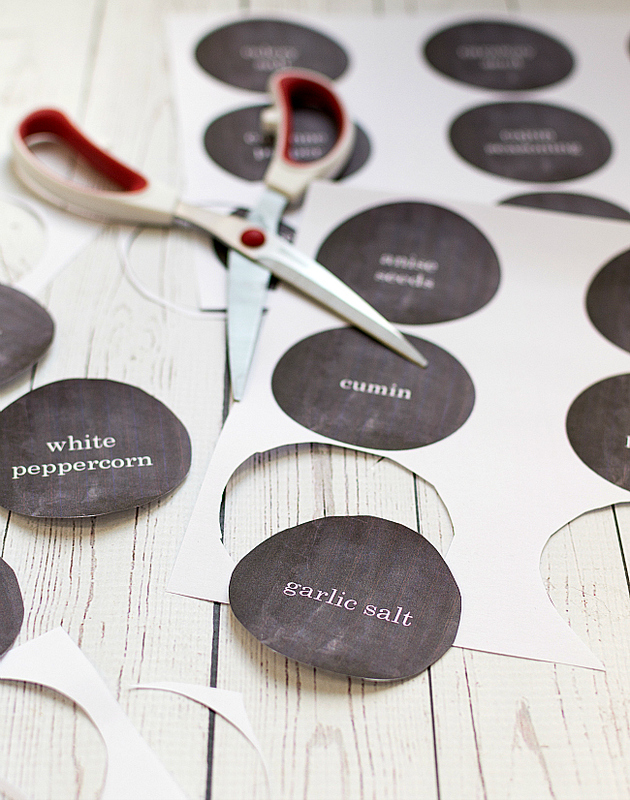 … to create a set of free printable labels to fit those mason jar tops. 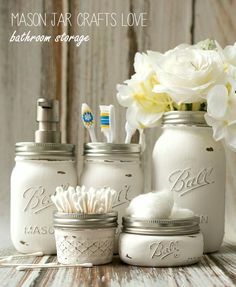 Using a chalkboard background. Because, contrary to what the trend experts say, I refuse to give up my chalkboard paint. 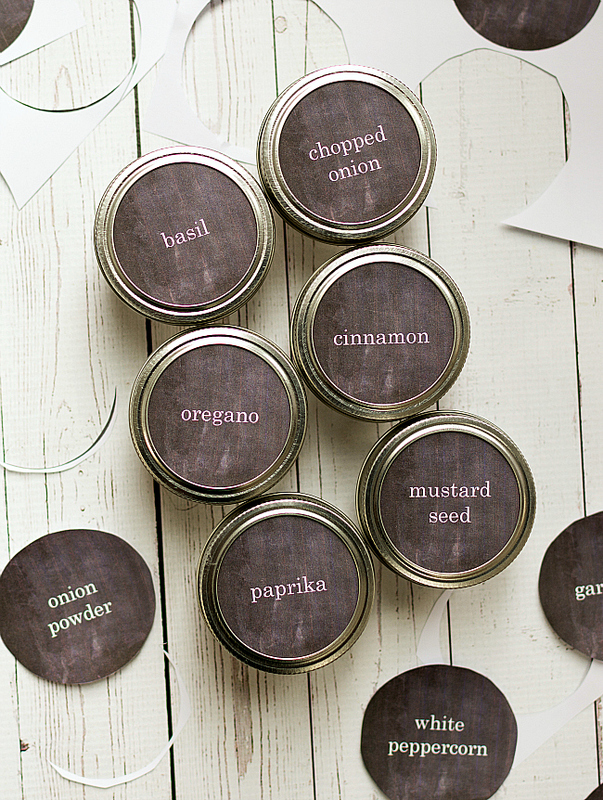 Or, in this case, chalkboard spice jar printables. For free. I tried to cover as many spices as I could think of. And then added in a sheet with blanks. 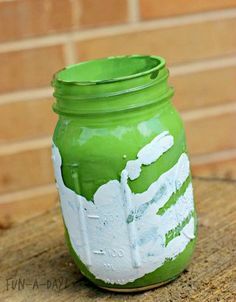 You can just use a chalkboard marker or white paint marker to fill in your own. Can you please send me the PP file as well. Just sent it via email! Hi can you please send me the pm as well. Many thanks! Can I please have the PP as well? Thanks! This is so cute! Thanks for the awesome idea – just wondering what the font is called that you used. 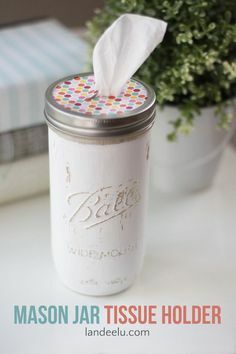 I’m trying to customize a few extra ones and I can’t seem to find a font that matches. Thanks. can you print them out on sticker sheets? Hello, thanks for the great ideas. 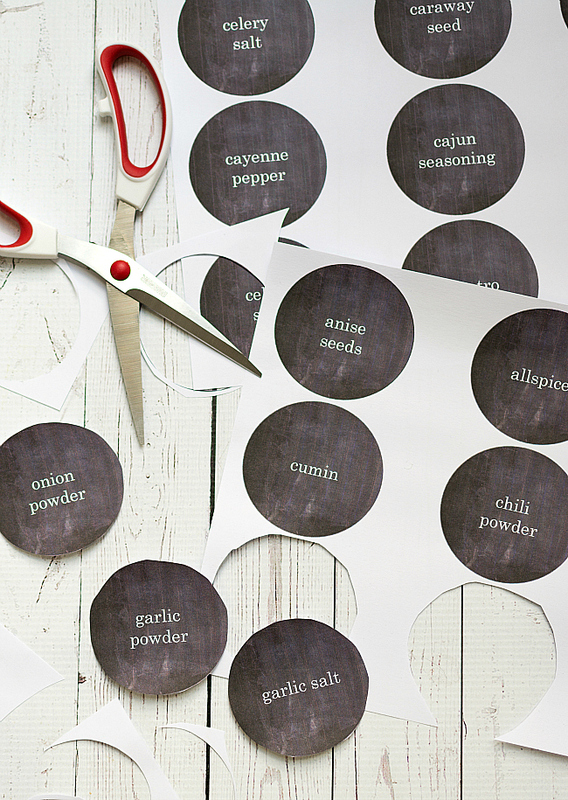 Will you please me to me, the pp, so that I can customize some of the labels as well? Hi! I love your labels. Could you please send me the PP? Bought some sticker paper to print them on and can’t wait to see the result. Thank you so much for these. 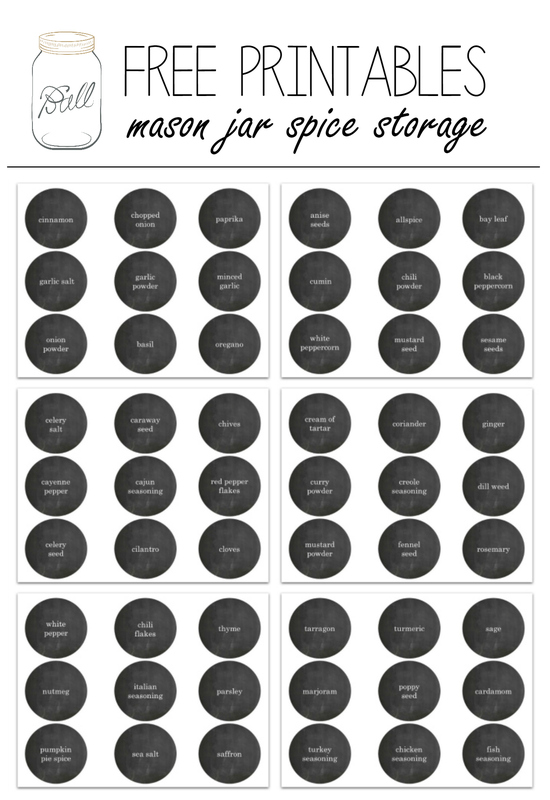 I am going to use them for my IKEA spice jars and would love to have the pp file as well to customize some of my more international spices. Thanks! I would love a copy of the PP too! you’re amazing!! 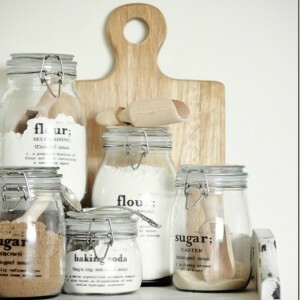 Just started obsessing over organizing and maximizing my small pantry and your labels were awesome! thank you! Wish I could keep the font and add some of my seasonings (mexican seasonings that you are missing)!Thank you again for the labels! Im following you now! 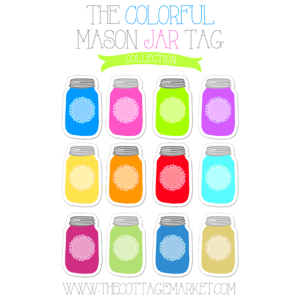 I’ll send you an email to the PowerPoint document I created so that you can make your own labels too! Just sent you the document via email! 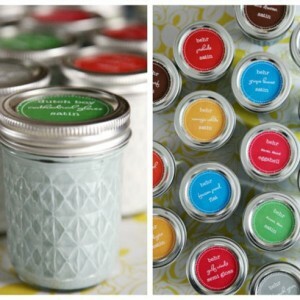 Love your site and LOVE these labels. Could you send me the document/link so I can add a few of my international spices please. 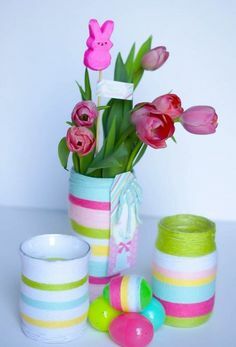 Please send me a pp for customize list. hi i love the idea would you also send the file to me i want to edit it thanks!